Late summer, a September morning. and not a cloud in the sky; the city is waking, waste collection carts rattle through the streets, the florists busy with their deliveries to hotels and offices, and the convenience store shopkeeper watches the news on his TV behind the counter. It would be a blissful day had it not been for a sinister event. A man and boy are walking to the park. The man is carrying a bag with a bottle of gasoline and a knife. They walk rather than taking the bus. The man will do anything to postpone the moment he must sacrifice his son. In his little book, "Fear and Trembling", Søren Kierkegaard explains how all ethical considerations can be disregarded when under Gods command in reference to the story of Abraham and Isak – a predicament that hasn’t lost its current relevance. One need only to consider our times’ suicide bombers or fanatical fundamentalists of any kind of conviction or belief. In his new play FEAR & TREMBLING - written especially for Holland House - Schimmelpfennig tests and acts out Kierkegaard’s thesis. In a gossamer dramaturgic compilation of over 300 mini scenes , he attacks the predicament from all directions. He even goes so far as to scrutinize the very concept of God. Despite the extreme cut-up techniques and complex predicaments, the play amasses itself around one drama-packed situation: a father must take the life of his son for the greater good. This is the very genesis of fear as ”…fear emerges when something occurs that you cannot control”, as scripted in Roland Schimmelpfennigs play. 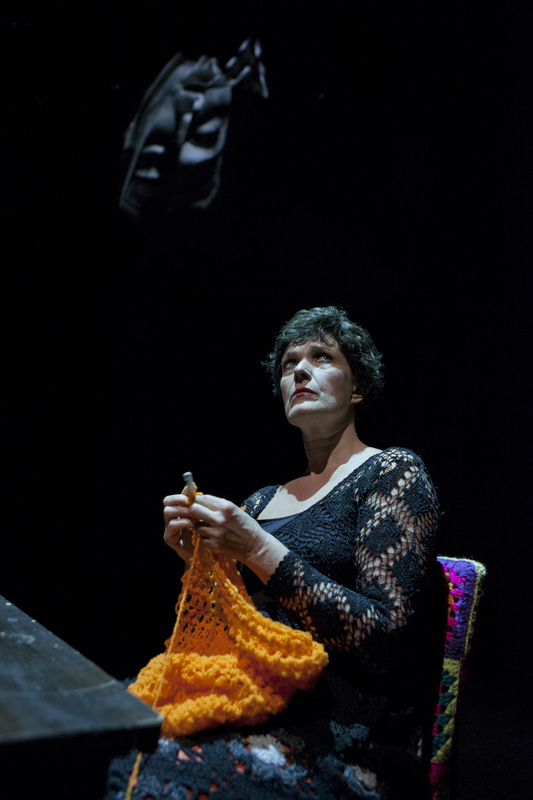 Jacob F. Schokking’s production of the German playwright Schimmelpfennig’s texts hurls itself from the highest outcrop – and lands on its feet. The drama of the Old Testament revolving around Abraham and Isak is projected to a time where the earth hangs precariously over a family scenario. As the retelling signifies the continuous and constant dramaturgical grasp, the story progresses and accelerates towards the incident on the mountain as the ultimate confrontation between belief and meaninglessness. The production’s successful dynamic is created in the interplay between the text, music, the eminent video design, and the fine performances by the actors. As such, Fear & Trembling is awarded. 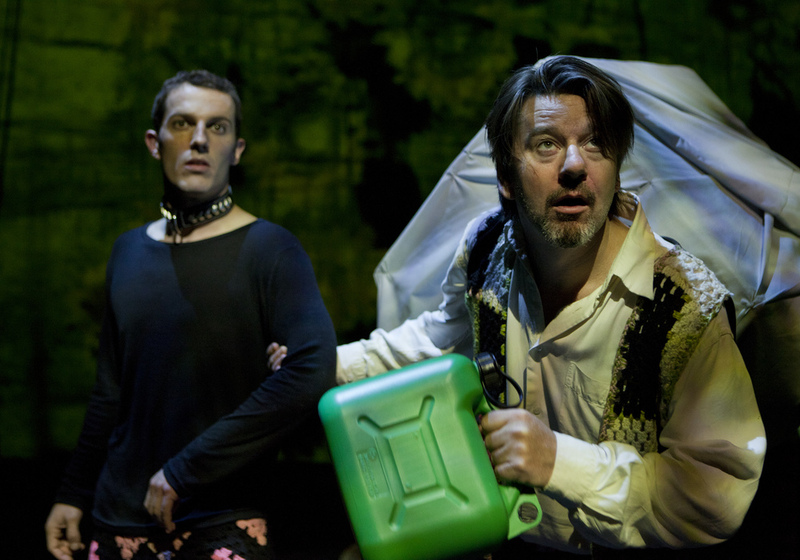 FEAR & TREMBLING opened October 28, 2013 at The Royal Opera's scene TAKKELLOFTET in Copenhagen. FEAR & TREMBLING is supported by Danish Arts Foundation, Wilhelm Hansen Foundation, Oticon Foundation, Augustinus Foundation, The Obelske Foundation, Goethe-Institut Dänemark, Bikuben Foundation.